Leak and flood damage restoration from 911 Restoration Miami includes cleanup, dry out, and reconstruction when necessary, and this is why our customers consider us the go-to source for services in the area. Whether your property suffers the effects of hurricanes or faulty plumbing, our water damage restoration Fort Lauderdale crew is available 24/7/365 and has the latest drying technology and proper training to remedy the challenges. We have many years of experience protecting customers from the worst pipe bursts and thunderstorms. Rely on 911 Restoration and our water damage restoration Fort Lauderdale team when you need water removal and we will show you what a fresh start truly means. Fort Lauderdale has many natural disasters including tornadoes, hurricanes, and most strangely, hail. Each of these elements causes an impressive amount of damage, so we work with IICRC certified workers to ensure that the best job gets done. Still, the worst disaster in Fort Lauderdale comes from within the home: plumbing. We all need it. We all love it. However, when your water line breaks, the moisture already has access to your home’s most vulnerable materials. It saturates carpets, deteriorates paint, and ruins all furniture. 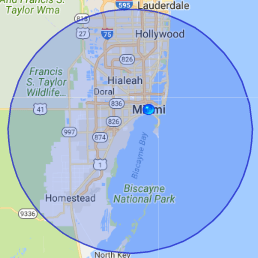 So, when you need fast help call 911 Restoration Miami for same day service and we will be there within 45 minutes. Our water damage restoration Fort Lauderdale specialists have familiarity with all types of water damage scenarios. For instance, a customer called when her air conditioner dripped onto her floor, she was able to clean up the mess, but needed our water damage Fort Lauderdale operatives to dry out the area underneath the carpet. She chose our water damage Fort Lauderdale crew, because she saw we billed directly to the insurance company. She was very happy to hear about our fast response time, free home estimate, and all the other amenities we offered. Pipe Burst – This generally happens in colder climates when the plumbing frees, but is still entirely possible in Florida when pressure builds inside your water line. Roof leak – the best way to help your roof sustain the summer weather is to keep your rain gutters clear and the downspouts moving precipitation away from the foundation of your home. A flooded foundation is a quick trip to a sinkhole. Appliances – Air conditioning, refrigerators, water heaters, and dishwashers are all popular causes of water damage. After approximately a decade of use these hoses break down until they split. The real problem is that the leaks often start small in hard to reach places where they fester mold. Our staff also knows that mold growth is one of the main issues that you may experience after extensive moisture has affected your home. Our water damage Fort Lauderdale technicians understand that this can quickly occur, because mold spores only need about 24 hours to grow after they have been exposed to water. Mold, mildew and fungus like to grow in areas of the home that are out of sight, and our agents knows exactly where to look for mold and how to get rid of it. So, call our water damage Fort Lauderdale specialists when you need comprehensive services that deal with both water damage and mold growth. 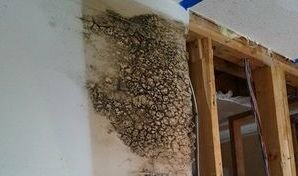 A second water emergency came to our water damage Fort Lauderdale pros when a mother found a strange phenomenon underneath her home. At first, she though the wet spots on the floor were from a recent shower or some similar explainable reason. However, as the days passed, the water grew worse. Soon, the carpet would squish when stepped on, bubbling up with water. She called our water damage Fort Lauderdale experts when the floor started to buckle. She could not determine the source. The adjoining wall was dry, the exterior walls were dry and the ceiling was dry. Our water damage Fort Lauderdale specialists investigated the incident until we discovered the cause was from a pipe underneath the floor had split. Once our water damage Fort Lauderdale workers determined the issue, we took on the challenge in full stride, removing the affected carpet, placing the latest drying technology in the room, and repairing all that the water had destroyed. It was a challenging job, but one that our water damage restoration Fort Lauderdale experts handled with a calm, logical approach. We are around the clock to provide you with a fresh start no matter where the home ailment originated, so call our water damage Fort Lauderdale team with 911 Restoration Miami Today!